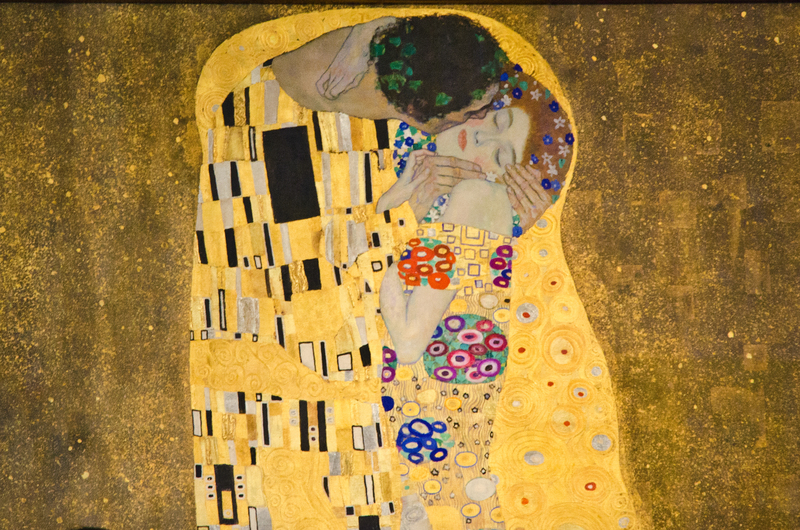 In 1908, Klimt unveiled “The Kiss,” which depicts a man bending down to press his lips on the welcoming cheek of a lover, whose closed eyes and tight-lipped smile hint at rapture. Belvedere Museum curator Dr. Alfred Weidinger says the two people in the painting are the artist and his girlfriend at the time (he had several, apparently), Emilie Floge, and it’s set on a lake that’s only suggested in a swatch of blue and climbing reeds and flowers around the woman’s foot. What makes the painting special, however, are the auriferous flourishes and the blending of rectangular features on the male figure with circular counterparts on his partner. There’s a mix of east and west, like so much else in Vienna, as well as a hope for harmony. Beyond that, it’s stunningly beautiful. The Belvedere purchased “The Kiss” for 25,000 crowns (the equivalent of about $240,000 in today’s dollars) on the day it was first exhibited 103 years ago. Prior to that purchase, the most paid for a painting in Austria had been 500 crowns, Weidinger says. In the past century, “The Kiss” has been replicated many times over, saturating handbags, shirts, postcards and the covers of poetry books. To most observers, it’s a romantic show of affection and sexual bliss. To the art world, though, it has greater meaning. For one thing, it marks the end of Klimt’s “Golden Period,” in which he used gold and gold accents in his pieces. Secondly, it is the most acclaimed work by a pioneering artist. Klimt was the founder of the Vienna Secession, an association that expanded the modern art movement and helped notable artists such as Edvard Munch and Egon Schiele attain greater recognition. Vienna is about to begin a year-long celebration of Klimt, whose 150th birthday will be commemorated with a series of exhibits in 2012. The kickoff begins early in October with a show of Klimt’s paintings alongside architect Josef Hoffmann’s work at the Belvedere. Hoffmann, like Klimt, was a trailblazer of modernism. Besides “The Kiss,” the Belvedere has a number of other works and features that make it worth visiting. For one, its Upper and Lower Palaces, separated by a long courtyard, are beautiful buildings with several exceptional pieces. In the Upper Belvedere, where Klimt’s work is featured, the works include a large canvas by Max Oppenheimer that depicts Gustav Mahler conducting a symphony. 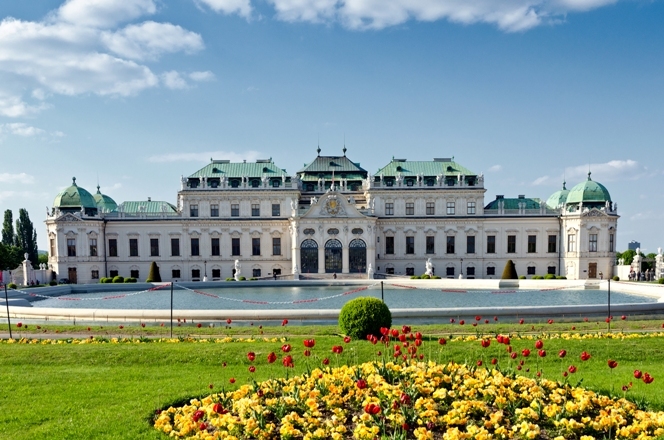 The Belvedere owns 22 Klimts, more than any other museum, as well as early-20th-century gems from Lilly Steiner and classics from the likes of Jacques Louis David. Paintings by Munch and some Dutch masters are also on display. As for the value of “The Kiss,” it would no doubt be the most expensive piece of art in history if it was ever put up for sale. In 2006, another Klimt painting sold for a then-record $135 million. “The Kiss,” though, isn’t going anywhere. In Austria it’s a treasure — one without a price.